This round knob/drawer pull is a off white/pale cream color with a beautiful and intricate patter of swirls and loops that form a flower like design on the face of this knob. The detail work is exquisite on this drawer pull and will add elegance and sophistication to any piece of furniture or cabinetry that you decide to put it on. 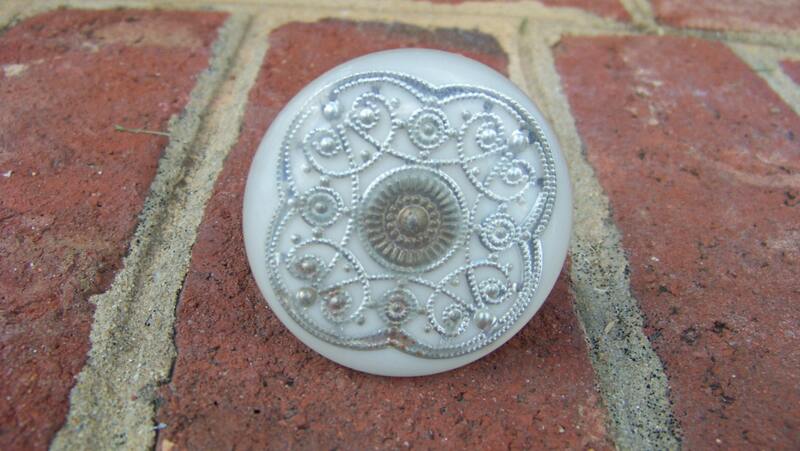 This listing is for 1 Off White, Round, Resin Knob/Drawer Pull with Filigree Design.